So the first example regards a white invitation with nice patterns on it, but not too visible. Also, on the left side this invitation has a big pink peony, which seems to confer life to this sweet invitation. 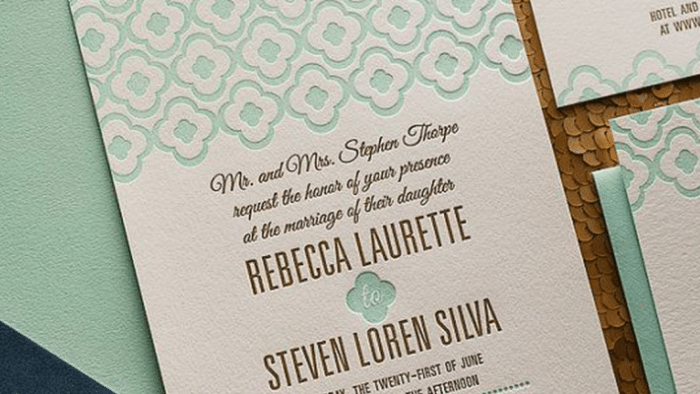 This invitation has the margins surrounded by a blue frame with nice floral motifs on it. It is ideal to be used in a spring wedding, meaning a ceremony that takes place in the spring season…. Also you want a card in which you receive the response. So attach to this wonderful invitation a smaller card, with the answer. 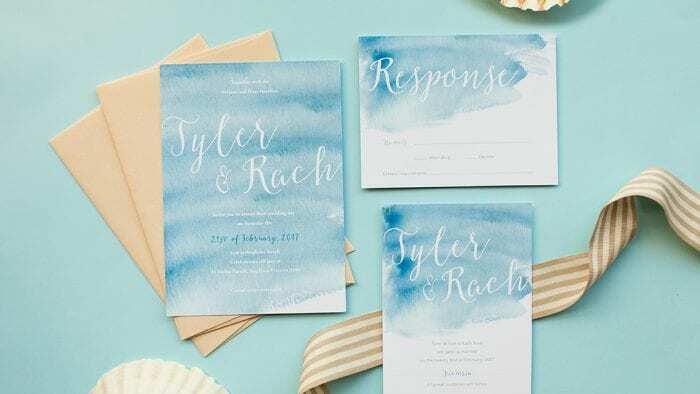 These two cards should match perfectly in details and colors, but a distinctive thing can be the envelope: use a yellow one for the invitation and a blue one for the response card. We continue with flowers again. 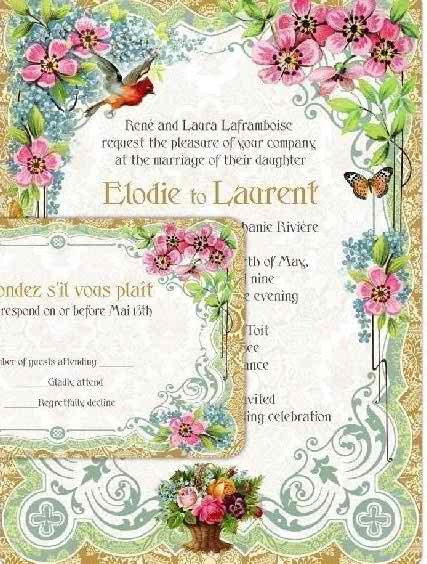 How about a beige invitation card with nice motifs on it together with flowers and leaves on it? And you should have the drawing of a butterfly here and there. 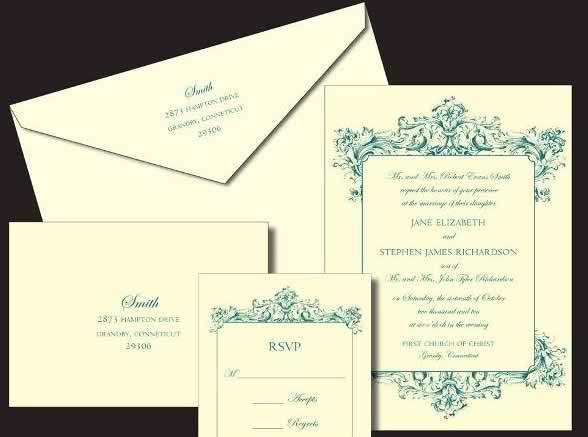 The invitation may be made of normal cardboard in these colors and also the margins can be rounded a little bit. Use a branch with flowers and it will certainly look great, and it can be a distinctive element from the response card, which means that you use only butterflies and the nice pattern on the later cardboard. Flowers, flowers and again flowers! 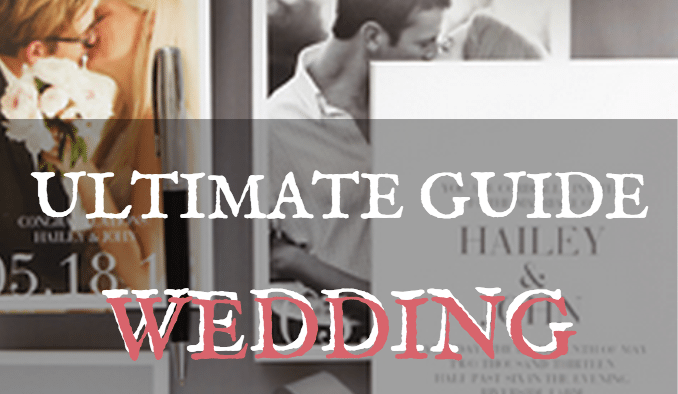 These are ideal for wedding that take place in the spring season, as mentioned before. 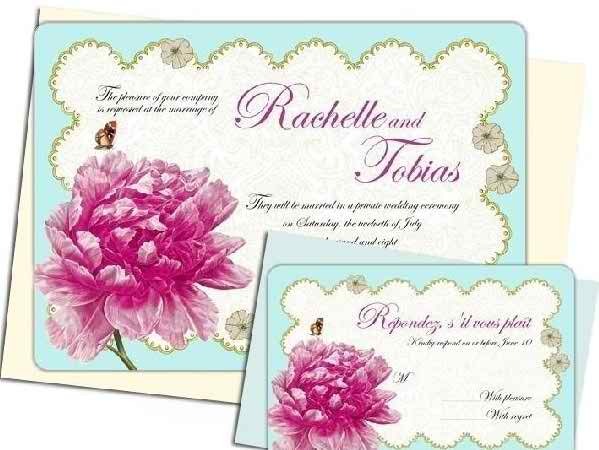 You can have also an invitation that has many floral details on it. 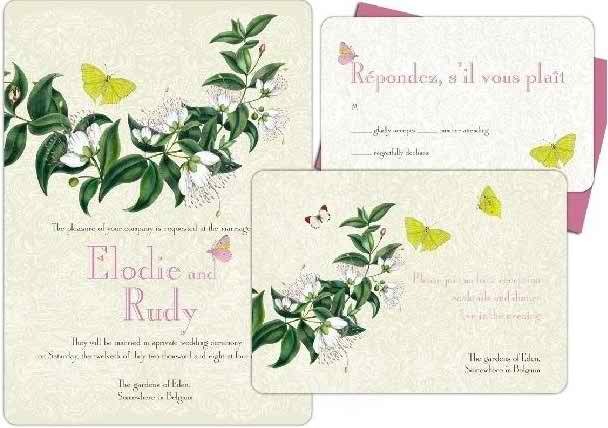 In the corners you may use pink flowers with green leaves and lots of butterflies. 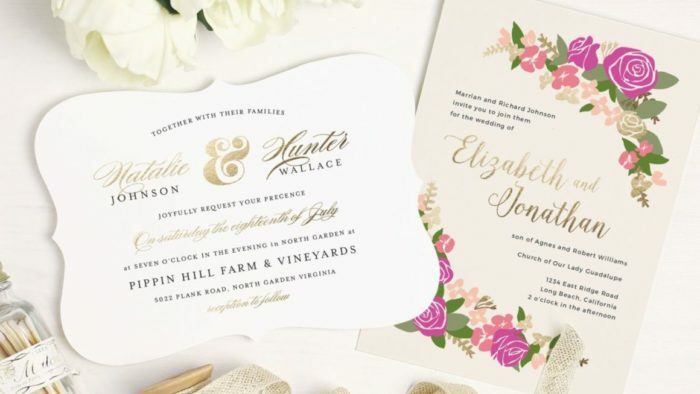 Also, there can be used some nice frames on these invitations, like the frames used on paintings, really colorful and with nice motifs on them…. Use nice type writing and the effect is guaranteed. We end with another invitation, simple and exquisite in the same time. For instance you can use a yellow invitation with a square drawing in the middle of it. On the margins of this card you may use some nice models and patterns and also interesting type writing. The response card is similar in model and in color, although it looks much simpler than the basic invitation. Use a yellow envelope for this invitation and for the response card too and these will look just great together. 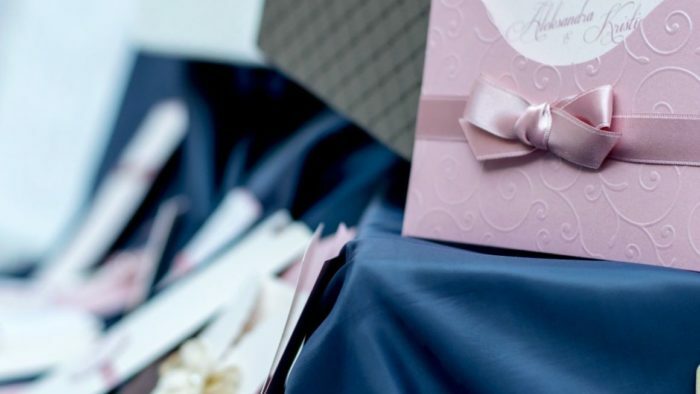 So as you can see there are so many models of interesting invitations, especially for those that regard the spring wedding…. 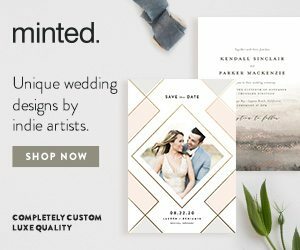 You have where to choose from and definitely you’ll make your mind on one of these invitation and response cards. 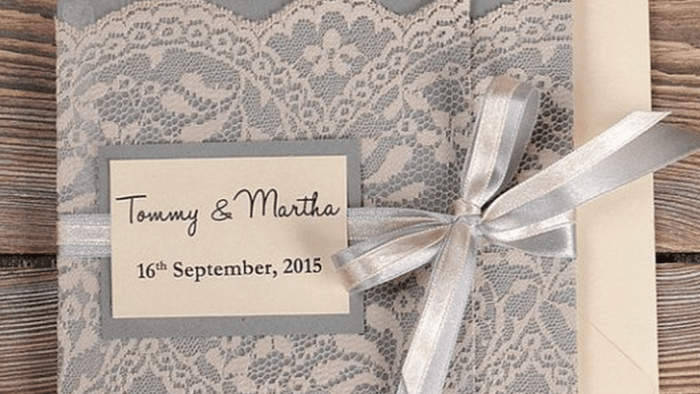 Make sure you choose from the beginning your wedding theme and also apply it on your invitations.